Click the image to Pre-order your copy of Yooka-Laylee and the Kracklestone today! Your privacy is important to us. We will not share your info with any third party. Thank you! If you do not receive emails, please check your spam folder. We look forward to sharing our upcoming news with you! ...Mother Nature! I never stop admiring her endless beauty. So much of my artistic inspiration comes from nature. What really amazes me is that one tiny flower can be as gorgeous as an enormous mountain. Today's video gives you a quick peek at a well manicured garden and demonstrates the way I strive to integrate that natural beauty into my Dreamside art. Yooka-Laylee Pre-order Store is Live! Only One Day Left to Join the Kickstarter Campaign! Four Days Left In Our Kickstarter Campaign! 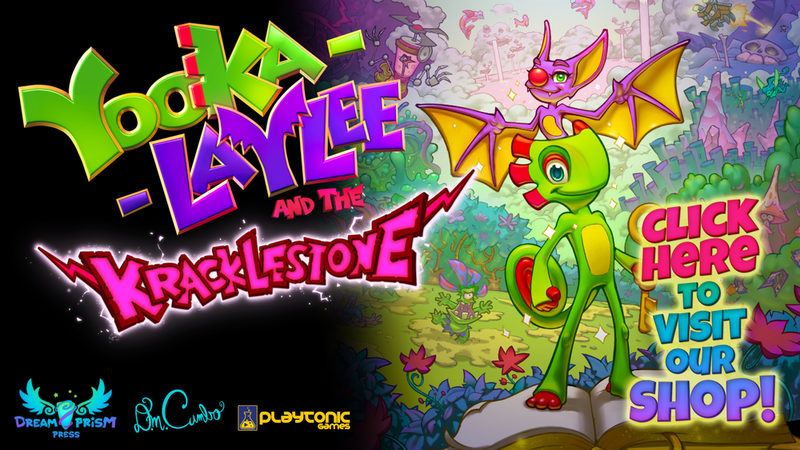 Introducing... Yooka-Laylee and the Kracklestone! Does your art have value?